Every rider hates to ride in the dark, because nothing is worse than seeing the darkest road as a rider. So it seems a goal of every rider to illuminate the street in nighttime ride as much as they can and when it comes to enlighten the front road, you need to have a bike light with powerful LEDs and high number of lumens. So how powerful your bike light should be? I would say the 1000 lumens and 800 lumens are average, but if you want an innovative, powerful and exceptional bike light, then you need more than the ordinary number of lumens. Because it can provide more illuminations than you expect and as the reason you can even decide for a long distance ride on the darkest roads. 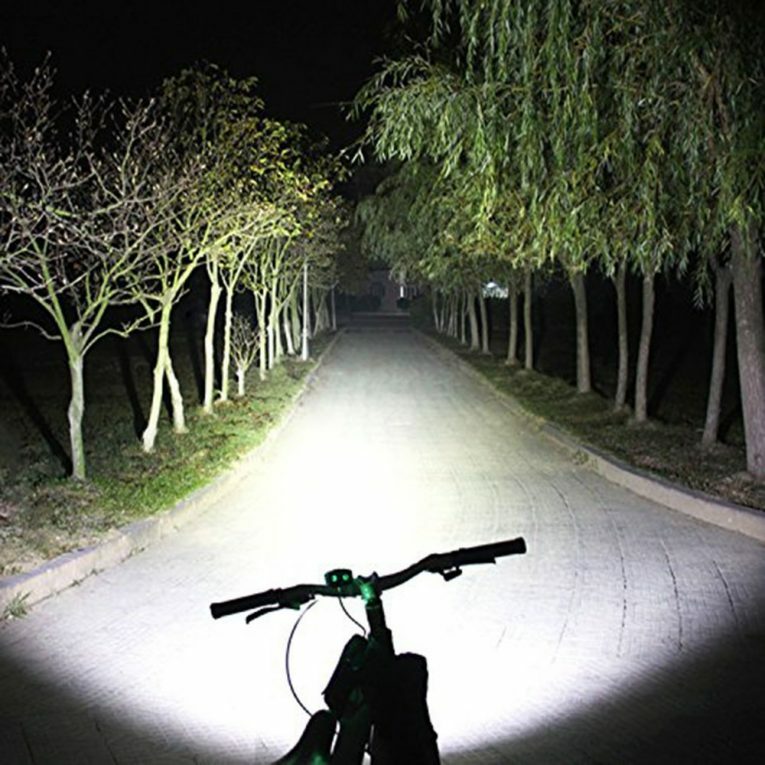 On the other hand, if you adjust this kind of light with your bike, even it is possible to ride in the off road terrains. 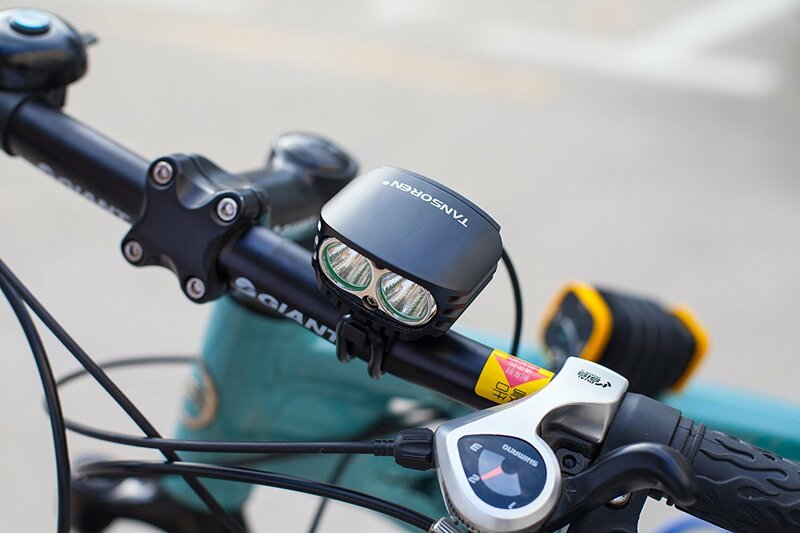 So the Tansoren 4000 Lumens Eagle Eye bike light is such a bike light as I said above. If you active all lumens in high mode, then you will see a crystal clear illumination with a long distance while the beam will be sturdy with an excellent throw. The most spectacular things it comes with. These LEDs provide a very clear brightness what an ordinary LED bulb is unable to do. These bulbs provide a longer beam length with an excellent throw. The frontage road will be totally clear and as the way, if you use this light in off road terrains you can see the hole, mud, gravels and rocks clearly that would reduce the chances of falling in any accident. Overall, the power of these bulbs is surprising. Battery life time is the big factor that I check in the features before buying any bike light. Because I don’t want that my light dims in the middle of the road. So I wasn’t different before choosing this Tansoren 4000 Lumens Eagle Eye, its battery life time can run this light approximately six plus hours. On the other hand, it comes with four modes, that enhances the effectiveness. Because when I ride in the city’s street I keep activated it the light in middle mode and when I just need the visibility I keep it in strobe mode for visibility. Believe it or not, sometimes (when raining) I wear the raincoat and go for commuting, actually commuting in the rain maximizes the enjoyment of the ride. Here also the Tansoren 4000 Lumens Eagle Eye comes to work, because it uses military grade water resistant plastic and IP66 technology. So the light won’t be damaged by rain and you will be always able to confidently use this light. The light likes an all in one pack, because it is compatible for multiple outdoor activities including, cycling, camping and hiking. You can adjust the light with headband for other outdoor activities. Powerful Cree XM-L2 LEDs for an excellent illumination. Multiple lighting modes for a convenient use. Compatible for multiple outdoor activities. Water Resistant Body With Military Grade Plastic. The light is slightly heavier. Although the beam is powerful, long and crystal clear, but I have a doubt about the accuracy of the lumens. Out of these downsides the light has the excellence in its brightness power and battery life. So as a rider I think these two things are the most required things in a bike light and literally these pros can make you happy in the street at night.